We're becoming an increasingly sleepless world. 1 in 3 adults don’t get enough sleep, and 8.6 million Americans report taking prescription sleeping aids. Ill-health is a cause of poor sleep, not least because some medications may affect the sleep wake cycle. But the biggest factor in people not sleeping properly is stress and anxiety. We are busier than ever. To make ends meet we are working increasingly long hours, and at the same time trying to keep up with family commitments. 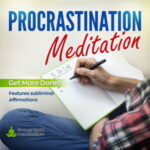 Thoughts of ” I can't wait to get into bed tonight” and “I wish I could take a nap now” cross our minds through the day, but for many of us, when we do eventually get into bed our minds are still racing from the day's activities and thoughts of projects, money concerns and relationship worries. The brain just won't wind down, and these spinning thought processes stop us from falling asleep quickly, and may wake us up during the night after we do fall asleep. It’s a two-way street: Stress and anxiety can cause sleeping problems, or worsen existing ones. But lack of sleep can also cause an anxiety disorder. In this post, not only will we introduce you to our special binaural beats music to help you sleep better, and explain how brainwave entrainment works, but also give you some other tried and tested methods for a better night's sleep. We need to make sure that we give ourselves time each night to switch off before we attempt to go to sleep. That means not going from the computer or phone screen and straight to bed. It means not going from work-related activities and straight to bed. We need to put the day bed, wind down and calm our brain activity. We need to take the brain from the dominant, high frequency of Beta, to the low frequency of Theta (relaxation), and then to Delta (sleep). Delta frequency brainwaves are the dominant brainwaves when we sleep, particularly in the latter stages of sleep. 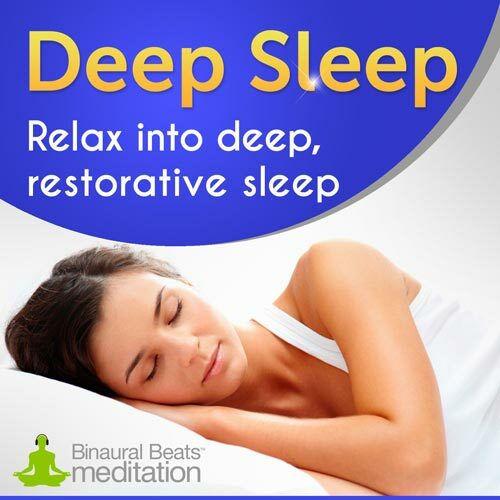 Our Delta frequency binaural beats sleep music will help you relax before bedtime by taking your overactive mind down into a state of deep relaxation. The music entrains your brain to produce Delta waves, resulting in a deeper more restful sleep. In a pilot study, 15 young elite soccer players were stimulated for eight weeks during sleep with binaural beats around 2-8 Hz. Once a week after wake-up, participants completed three different questionnaires: a sleep diary, an adjective list for psychophysical and motivational state, and a self-assessment questionnaire for sleep and awakening quality. Exercise is a scientifically-proven sleep promoter, but make sure you complete exercise at least three hours before you want to go to sleep. Some people can go from exercise to bed without any trouble falling asleep, but others will find that it takes longer for their adrenaline to settle down and their mind to stop racing. You may also want to eat after exercise, and for that you should leave at least two hours for digestion before attempting to go to sleep. Take at least half an hour to an hour to listen to our sleep music before bed. You might also like to take a bath or read a book while listening to the music. You can also listen while you are in bed and fall asleep to the music (something many of our users do). The last thing you want to do is stress yourself out before you sleep. Try to avoid any debate on social media, or arguments with friends or family. Don't go on your computer and start paying bills or researching ideas for work. Leave these things for earlier in the day. You might choose to skip the evening news, too, as tragic news before bed can be depressing and get you thinking deeply. Instead of letting your brain swirl with thoughts of things you need to remember for tomorrow or next week, or of things that are bothering you about particular issues in your life, write them down. This is another good activity you can do while listening to our special music. A quick journal entry before bed will help you put your thoughts to rest. Knowing that they are down on paper and won't be forgotten will feel comforting, and you will be able to let them go as you drift off to sleep. You might like to try meditative breathing and some tensing while in bed. Breath in deeply and slowly through your nose, and then slowly out of your mouth. Concentrate on your breath as it flows in and out of your body. Do this as many times as you like until you start yawning or feel sleepy. You can do this while you listen to our music, too. Once in bed, you might like to try tensing and relaxing. You can start with your toes: squeeze them for several seconds, and then relax for several seconds. Repeat this process and then move onto other body parts if you want to. Those who experience healthy sleep generally have a regular sleep schedule. In fact, many sleep specialists cite this as the cornerstone of good sleep. The idea is that you go to sleep at the same time each night and wake up at the same time each morning. Even if you don't sleep very well one night, you still get up at the same time the next morning and adhere to the same routine. The body responds very well to routine. When you go to bed at the same time every night, your body will naturally begin to prepare for sleep around this time of the day. It does this by increasing melatonin production from the pineal gland (the sleep hormone). 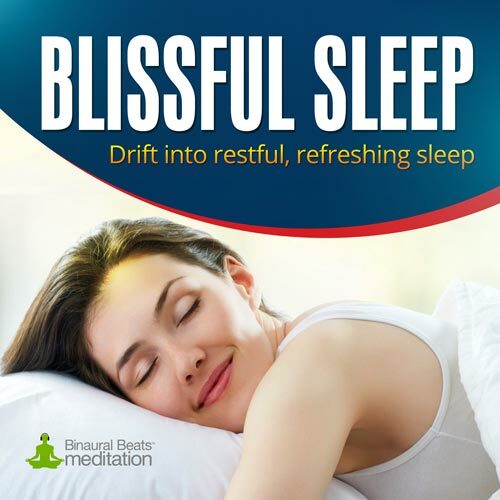 Using Delta binaural beats for sleep will assist you in establishing a good sleep routine by helping you fall asleep at around the same time each night. By regularly using the music each evening (up to 2 hours before sleep), your brain will habitually begin to increase the production of Delta waves around the time you go to sleep, and continue to do this as you fall asleep into your cycle. Brainwave entrainment works by encouraging the brain to move from one state of operation to another, using a process called ‘frequency following response'. A signal of a particular frequency is sent to the brain, and the brain begins to follow along at the same frequency. Thus the term brainwave entrainment. Where binaural beats are concerned, we send one frequency signal to the left ear, and one to the right ear, through headphones. The mathematical difference between these two signals is the frequency that the brain will follow along to. So let's say we send a frequency of 202 Hz (Hertz) to the left ear, and a frequency signal of 204 Hz to the right ear. The mathematical difference between these two frequencies is 2 Hz. As the frequency following response begins to take place, the brain will begin to follow along and release brainwaves of this same frequency. We have a comprehensive explanation on how this process works on this page. 2 Hz is a frequency listed in the Delta state. Delta frequencies play an important role in taking us into a state of sleep, and subsequently through the different sleep stages. What happens where we're stressed, anxious or worried is that the brain is in fight or flight mode, where it produces high-frequency brainwaves – mostly Beta and Gamma waves. As you will know, it is very unlikely that you will be able to sleep if you are in this state. To sleep, you need to come down into a relaxed state (Theta), and ultimately a sleepy state (Delta). I started this post by highlighting the huge problem with sleep medication. And here's the thing: Humans did not evolve with a flaw that prevents us sleeping properly, one that requires us to be medicated to get the rest that we need. The sleep cycle is a natural part of our everyday existence, and it should be something that everyone slips into effortlessly when it comes to bedtime. Our inability to get a good night sleep is down to our lifestyle choices. The problem is that over time, as we experience regular nights of bad sleep, we become susceptible to developing sleep disorders. We then medicate these disorders and find it very difficult to see properly without medication. Brainwave entrainment (binaural beats) is a natural, safe therapy. 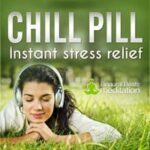 It is not an instant quick fix like a sleeping pill, but rather a holistic approach to relieving the brain of anxiety and stress and moving it towards a state conducive to a good nights sleep. It has both short and long-term sustainable benefits. Most users see an improvement within 7 days. Even if you don't usually have trouble sleeping, you may want to improve the quality of your sleep, or simply have an additional method of relaxation to use before bedtime. To relax before bed, you might have a bath or shower, watch some TV, or get into bed and read a book. But for some a bath or shower can be stimulating, and can indicate to the brain that you are waking up — because this is something we usually do in the morning. In addition, watching TV can be stimulating because of the flickering screen; in the same way a phone or tablet can. Listening to calming, peaceful music while you sit or lie down in a dimly lit room is a fantastic way to put the day to bed. 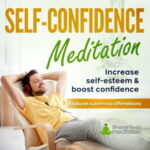 If you want to de-stress in the evening, calm your overactive mind and improve the quality of your sleep, click here to try our binaural beats music tonight.